In association with Concerts SA, Afrobeat saxophonist Femi Koya releases his new album, Village Afrobeat, and presents it live on a national tour which includes Durban. Music composer and performer, versatile saxophonist and dynamic vocalist, Femi Koya released his third album entitled Village Afrobeat (Femzee Productions, 2018) on April 20, 2018. The Village Afrobeat national album release tour commenced in Cape Town in May. Now at the end of July, the tour hits Durban - with performances at The Chairman and Jazzy Rainbow. (It will move on to Gauteng to the African Beer Emporium). Born in Nigeria and based in South Africa, Koya is the new face of the African Renaissance. He combines West African highlife and jazz, South African Sophiatown with nostalgic Afrobeat root sounds and his music is a rich blend of deep and sultry Afrobeat and contemporary groove. “I believe that Africa will have its true homecoming when people see themselves as first and foremost African. Until then I will continue to make music suggestive of this homecoming and what the future holds for Africans united. It is our destiny”, says Koya. 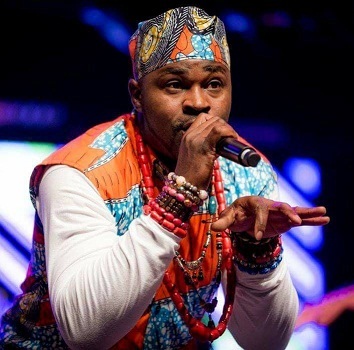 His new album is an African party, jazzed up with Afrobeat’s horn arrangements, with talking drum and percussions driving the African heartbeat. Songs such as Babalawo, Lerato, Alo and Kongo enable new generations to understand the significance of these narratives as well as providing a nostalgic look at village culture and its life lessons. Koya’s band is comprised of himself on sax and vocals, Maxwell Baloyi on keyboards, Olusegun Oyedele on talking drum, Peter Adesola on trombone, Karo Ndoite on guitar, Seun Adebari on drums, Felix Arimoro on flugelhorn, Lanre Kununji on trumpet and Gabriel Atabe on bass. The musical influences that can be found in Village Afrobeat include Fela Kuti, Bob Marley, Manu Dibango, Hugh Masekela and Baaba Maal. About the title of the album, he says: “Some say Africa is a village. I say let us then unite Africans through the metaphor of a village. Some say we are going back to our roots, Africa. I carry my root along with me into the future”. The Village Afrobeat album is available in digital online stores like iTunes, Spotify and Amazon. Physical CDs can be bought at Musica and CNA. Copies of the new CD will also be on sale at the performances. Femi Koya Village Afrobeat Tour is supported by Concerts SA through the Music Mobility Fund, a funding mechanism which offers opportunities for South African musicians to undertake live music tours.